This one should certainly be fresh on your mind, as it wasn’t all that long ago the project fell apart. Even after the dismal critical reception of Spider-Man 3 (which is still the highest grossing “Spider-Man” movie worldwide to date), development began the next year on a follow-up. Director Sam Raimi was set to return along with stars Tobey Maguire and Kirsten Dunst as Peter Parker and Mary Jane Watson. 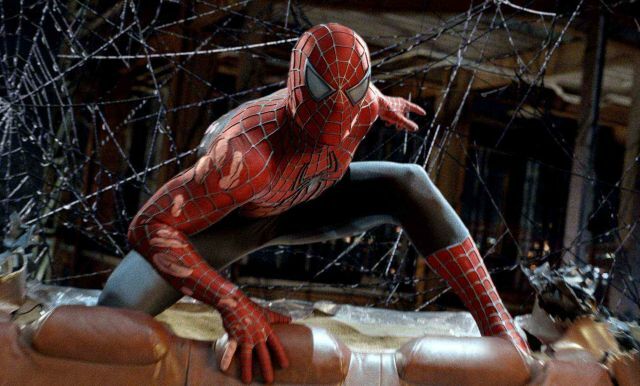 Before a script had even been written, Raimi revealed that discussions had taken place to shoot a Spider-Man 4 and Spider-Man 5 simultaneously, but as things came together this was abandoned. Screenwriter James Vanderbilt, who also later penned The Amazing Spider-Man, was hired to write a script which was subsequently rewritten by David Lindsay-Abaire (who would go on to write Raimi’s Oz The Great and Powerful) and then again by Gary Ross (who previously worked with Tobey Maguire on Pleasantville and Seabiscuit). The film was given a May 6, 2011 release date and it was revealed at the tail end of 2009 that John Malkovich was in talks to play The Vulture, a character Raimi originally tried to have in Spider-Man 3, along with Anne Hathaway as Felicia Hardy, aka Black Cat. Things began to tumble after this as Raimi lost confidence in the project and eventually parted ways, setting the stage for the reboot. Before Raimi’s departure and the collapse of the project, Sony had “quietly” hired Vanderbilt to pen not only Spider-Man 5, but also a Spider-Man 6. What foes the webslinger may have faced in those films remains a mystery.